Jama is a popular requirements management solution that helps organizations – product managers/ business analyst manage product definition better, develop complex software products and facilitates faster product delivery using Agile methods. As a technical partner with Kovair Jama users can augment Using Kovair integration, business analysts and product managers can easily flow Jama Requirements, Epics, User Stories to developers using Agile planning tools like Rally, VersionOne or JIRA Agile for managing their sprints. For example, once a developer implements a user story and updates defects raised in JIRA, the status along with the link between User Story and Defect automatically syncs back to the Jama user. Testers can also align their test objects with rest of the team members during the sprints and collaborate on every stage of the lifecycle. Thus, ‘Kovair Jama Contour Adapter’ integrates Contour with the other Application Lifecycle Management tools to create a unified software development ecosystem. This enables data visibility across different Best-of-Breed tools from different vendors being used in the organization. User Stories, Test Cases, Test Runs and Defects from Jama are exposed as separate entities from the Kovair Jama Contour Adapter. The Adapter also supports any custom entities that may be defined in the Jama Contour platform. Provides bidirectional synchronization of User Story and other artifacts along with links between Jama Contour and other ALM tools. Connects Requirements Management system with agile development tools for real-time update on defects getting raised and resolved. Enhances collaboration between system engineering and software engineering teams on Requirement artifacts by removing manual handoffs. Facilitates customer support system implement new feature request by aligning help desk, product/system managers, agile developers and testers. Reports & Metrics from Kovair can be used to track progress in different stages of the application lifecycle. Allows the team members to work on all ALM artifacts from their preferred tool environment and thereby helps in their productivity growth. Enables integration with On-Premise instance and also with cloud instance. A special SOAP permission is required for cloud instance. Jama Software is the definitive system of record and action for product development. The company’s modern requirements and test management solution helps enterprises accelerate development time, mitigate risk, slash complexity and verify regulatory compliance. More than 650 product-centric organizations, including NASA, Rockwell Collins, Boeing and Caterpillar use Jama to modernize their process for bringing complex products to market. The company is headquartered in Portland, Oregon. 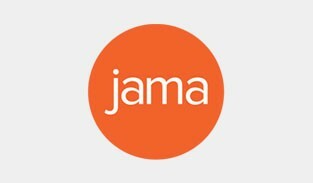 For more information, visit www.jamasoftware.com.